By guest writer Medhavi Gandhi. Gandhi is the Founder of The Heritage Lab, an organization and website working in support of museums in India to make them more accessible and inclusive for families and children. India is home to a culturally rich people, but preserving the rich traditions and diversity of the country’s people, specifically in regards to the arts, has been a challenge. For this reason, I created the nonprofit Happy Hands. Happy Hands fosters “meaningful interaction with the arts, generating appreciation for cultural heritage and restoring dignity in crafts practice.” In 2014, we were restructuring its work and looking at two objectives: 1) how to engage youth with heritage and take experiential learning to the classrooms and 2) how to promote design education and innovation with artisans and craftspeople from different disciplines (textiles, wood, metal, painting, etc.). However, what we realized in working with people in these disciplines was that there was little to no understanding about what their ancestors had created or the processes they had used. How were we going to get youth to take pride in these traditions if today’s artisans were unfamiliar with them? In an effort to resolve this, we brought our craftspeople to a museum. There, they were able to observe and study earlier traditions in their country’s craft work and learn how to replicate the art. But it wasn’t until a participant potter replicated an Indus Valley toy that we realized these same replicas could be used as educational aids in schools. Just like that, the museum provided us an opportunity to meet both of our objectives. From there, we decided to merge creative workshops with observation exercises and basic museum activities to allow youth critical and creative inquiry into their cultural heritage. 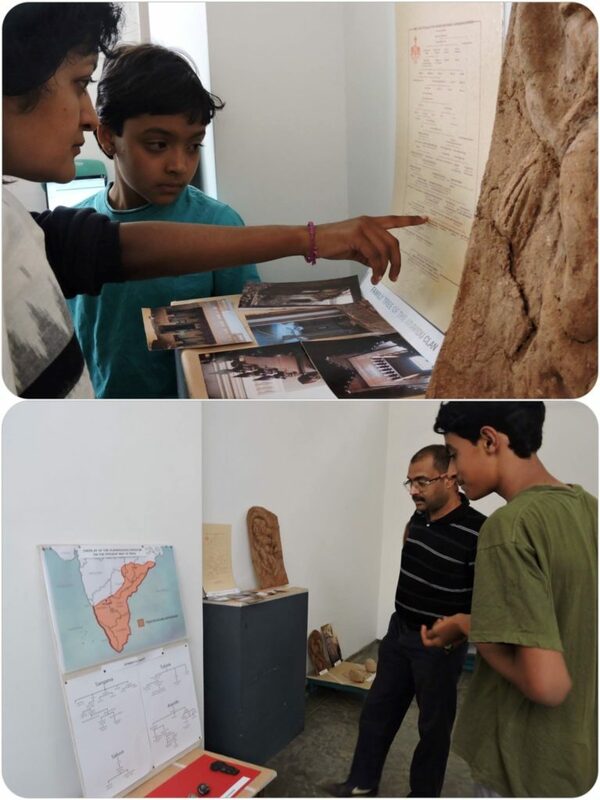 Then in February 2015, I led a multidisciplinary team to the ASI Museum to create a traveling exhibit based on the Vijaynagara Empire. It resulted in the creation of an activity book for children, which enthusiastic parents and kids bought multiple copies of. Yet, while the museum was appreciative of our efforts, I realized that it took too much back and forth to simply access the museum and its resources. It shouldn’t have been that difficult in this day and age, but it was. When I first heard there 1,500 museums in India, I was shocked. What collections do they have? Do people really visit these places? Who are the museums employing? Where does the workforce study and what have they studied? Most importantly, is there a way of finding out about these museums? The answer is “no.” There’s only one list produced by the Ministry with every museum in India. And while other museums around the world are digitizing their collections and putting them online, most museums in India still lack a website. The problems don’t end there. 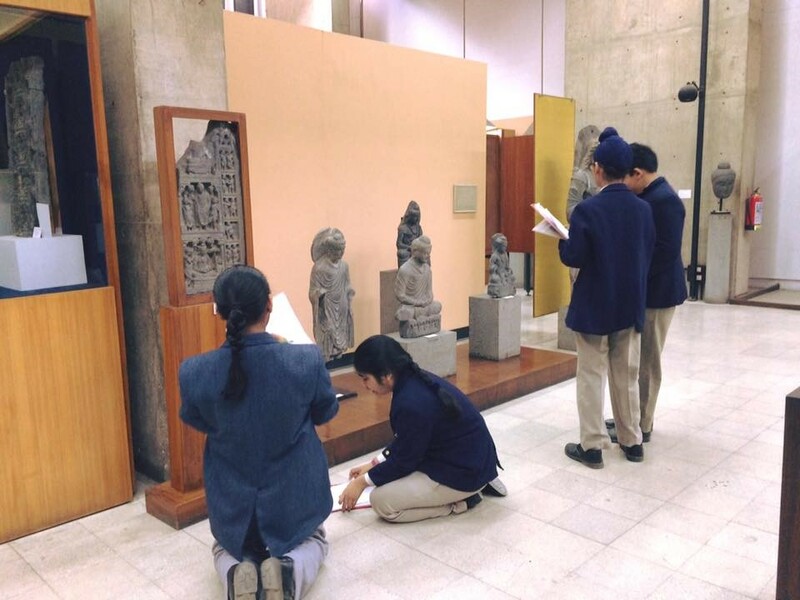 After hosting a workshop at the Chandigrah Museum & Art Gallery on a collection that connected to students’ history curriculum, I realized that parents were unaware of the learning opportunities at museums. Parents and kids alike also didn’t understand that there were career options in the museum field, or legitimate courses people could take in museology and museum studies. All of that considered, how were India’s museums going to reach new audiences, become more accessible, and compete for people’s attention in the age of Google? I created The Heritage Lab to make museums more accessible for families and children but when I dug in deeper, I found that many people, like me, wanted more from these cultural institutions. Not only did they want to know which museum to visit but they also wanted more information than what was provided on the artifact labels. What could provenance, period or style really convey to them? Where could they look to find out? How would their museum visit ever be part of a conversation if they didn’t understand what they were observing? It also meant that a lot of parents weren’t comfortable taking their families to museums because they feared not being able to answer their children’s questions. So, I decided to reach out to friends, friends of friends, interns who were willing to conduct visitor surveys at museums in 5 major cities in India. The surveys focused on asking visitors what they wanted out of a museum. The results helped me create a Museum Manifesto that highlights 15 ways to make museums more visitor-friendly. 19 museums came forward to adopt the Manifesto. The number doesn’t matter, what matters is the willingness. I liked that these museums had the willingness to accept feedback and the eagerness to adopt change. It also made me realize that this is the best time to be engaging with the museums. For the past couple of years, discussions and dialogue around museums share a new vision and new milestones, and also acknowledge that museums are important for driving cultural tourism. What’s more, museums are more open to collaborations, experimentation and change than ever before. Museums in India are just getting started and the creation process is always the most challenging, and exciting, part of building something. Long live the Museum Revolution! The Heritage Lab provides free museum-based activity sheets for children, shares job opportunities and professional development information with museum professionals, creates digital campaigns to highlight what’s happening at museums, and increases access to lectures and educational programs at cultural institutions. Learn more about the great work they are doing in India here.